Do you track your reading each year – to see where you are in challenges, keep track of your thoughts on books, or even just to see how much you’ve read? I love tracking my reading and love that there are so many ways to do it in an organized manner, both digitally and by hand. Below I’ve rounded up all of the best ways to track your reading in 2019 and beyond, as well as how I use each tool to track my reading. These tools will no doubt come in handy as you begin to make progress on your 2019 reading goals. If you love reading and you do not have a Goodreads account, you need to change that. Now! Goodreads is basically social media for books. You can discover new books, track what you are reading and what you’ve read, and interact with others through book reviews, comments, groups and more. I spend much more time than I should on Goodreads, and it’s easily my favorite way to keep track of EVERYTHING I’ve read or want to read. It would be so easy for me to say “everything” because Goodreads is built to track reading. 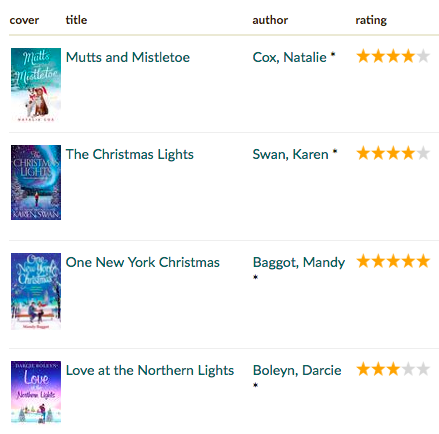 However, I absolutely love that Goodreads tracks your reading for you each year. 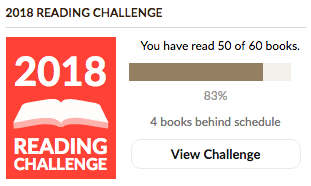 You can set a goal and, every time you mark a book as Read in that year, Goodreads will update your progress, so you have a constant reminder of where you stand on your reading goal. Goodreads also publishes a reading report for you each year, so you can see a cool graphic about your reading journey for the year. Click here to check out my 2017 report. Goodreads also makes it easy to track what you’ve read or want to read with their default bookshelves: Read, Currently Reading, Want to Read. In addition to these, you can add as many custom bookshelves as you want. For example, if you are participating in a reading challenge (like my 2019 Diversify Your Reading Challenge), you can create a bookshelf for that challenge specifically and add any books you’ve read for the challenge. Not only will it allow you to see how many you’ve read, but you also have all the books in one place in case you want to share them in the future. As I mentioned above, I spend way too much time on Goodreads. I love being a member of various groups on Goodreads (they’re like virtual bookclubs), and I also use the site to keep track of all my reading. I rate the books I read, write reviews, and keep a list of all the books I want to read, in both the default and my custom bookshelves. My most recent bookshelf addition is Unread Kindle, where I keep track of all the books I have on my Kindle that I haven’t read. It’s so easy to just read the newest thing I’ve downloaded and lose track of other books I already have, so this will keep me up to date on what I already own. I also love just looking at my bookshelves on Goodreads. You can toggle between image view and list view. When I’m feeling uninspired about reading or trying to jog my memory about a book, I love looking at the image view to see all of the books I’ve read. Whether you choose to keep your spreadsheet online (using something like Google Sheets) or offline in Microsoft Excel, spreadsheets are a great way to keep track of reading goals and all of the books you’ve read. Using Google Sheets, you can also share with your family so everyone can track their reading in one place. One of the best things about a spreadsheet reading log is that it is fully customizable. You can include any columns you’d like, from # of pages to your rating to notes on the book. I also love the ability to play around with formulas to keep track of money spent on books, pages read, etc. Perhaps my favorite thing about spreadsheets, though, is the tab function. Keep track of your overall reading goal in one tab, and then use additional tabs to track books purchased, specific challenges or goals, or even to keep track of books on your shelves. You can separate out your various reading goals while still keeping them all in one place. Spreadsheets are so flexible, making them a great way to track your reading goals! I love using Goodreads to track what I’ve read and to write reviews, but spreadsheets are probably my favorite way to actually visualize my reading goals. I use a spreadsheet reading log to track what I read each year, what I purchase, and how I am doing for each challenge. Here’s a list of reading challenges I’ll be doing in 2019. My Reading Log, which I use for tracking what I read each year, is pictured below. I keep track of Book Title & Author, when I finished the book, # of pages, whether the book qualifies for any challenges I’m participating in, genre, and format read (i.e., audiobook, kindle, paperback, hardcover). My goal for 2019 is to read 60 books, so I have added 5 lines for each month as a default, but I can easily add or delete rows depending on how I do in a certain month. Click here to sign-up to my newsletter and receive a FREE reading log template! I also have a tab for tracking what I purchase each year. I’m a total nerd when it comes to budgeting (seriously, a full budgeting post is coming soon! ), so I love seeing how much I’ve spent and whether or not I’ve made use of what I’ve purchased. At the bottom, I tally up a variety of totals, including how many books I’ve purchased in each format, how much I’ve spent, and, new for 2019, “book debt”. This is a sum I’ve added to keep track of what I buy that I don’t actually read (or at least start reading) in that year. It’s a great way to visualize how easily I give into things such as Kindle Daily Deals when I don’t actually have time to read the book at that moment. For my Books Purchased spreadsheet, I don’t care about things like # of pages or when I actually finish the book – those only matter on the reading log. Instead, I keep track of Format (so I know where to find the book when I go looking for it! ); where I bought it (a great way to remember independent bookstores visited while traveling); the cost (and whether I purchased it on offer); and whether I actually read it, for my “book debt” sum. Trello is a productivity tool that can be used for so many things, from school to work to life in general. I’ve been through phases of using Trello for things such as: tracking travel plans & confirmation numbers; organizing my ideas for blog posts & deadlines; coordinating household to-do lists; and, of course, tracking my reading. If you’re interested in trying Trello, you can sign up here. The tool is completely free and so versatile! My favorite part about Trello is how easy it is to drag & drop, moving an item (or ‘card’, as it’s called on Trello) from one list to another. Create a ‘Reading’ board and just start with three simple lists – “Want to Read”, “Currently Reading”, and “Read”. You can pile up your “Want to Read” list and, when you start a book, easily drag it over to “Currently Reading” and then to “Read”. It’s a great way to visualize what you have on your plate, as well as see how much you’ve accomplished throughout the year. I also love the Due Date feature on Trello. If you are reading for a deadline (school assignment, book club, to submit a review, etc. ), you can add the deadline to the individual card. Then, the date will be there reminding you of the due date. The other main feature that I love is the ability to create Checklists. This is a great thing to do if you are participating in a reading challenge. Put each prompt/book as an item on the checklist and tick them off as you go along. Again, it’s a great way to visualize how far you’ve come (and how far you have left to go!). I prefer some of the other methods for tracking my reading, but I do use Trello to keep lists of books, as well as to keep track of what I can get from the library. When a great list of books comes up, such as Anne Bogel’s summer reading list, I copy all of the books over to a new list. Then, as I read them, I move them off the list into “Books I’ve Read”, or just archive them. But it keeps all the books there as a reminder, and to inspire me if I’m struggling to find something to read. An alternative is to put all of the books into a Checklist, like I mentioned above, and tick them off as you read them. 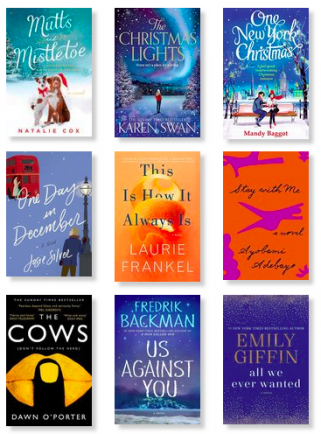 When I am brainstorming for something like the Popsugar 2019 Reading Challenge, I check all of the books I select to see if the library has them. If they do, I place them into Trello under the section of the library where I can find them, and then in alphabetical order. This means I can just wander around the library, checking for books as I go, and grabbing any that are in stock. I also keep a list of the books I currently have borrowed, along with their Due Dates. I can drag a book from the correct section into “Currently Borrowed” when I check it out, and then archive it once I return it. Pinterest is another great tool for keeping track of books you’ve read or want to read. I have seen many people with Pinterest boards such as “To Be Read”, “Currently Reading”, and “Read”. If you spend a lot of time on Pinterest anyway, it’s the perfect place to keep track of your book lists. You can pin from pretty much anywhere if you have the Pinterest extension installed on your browser, meaning that you can save a book from wherever you find it. This makes it really easy to keep track of books you find on other bloggers pages, on Amazon, or even just scrolling through Pinterest. Pinterest is also incredibly visual, and there’s nothing I love more than looking at a well curated board. If you like seeing things, it might be best to track your reading on Pinterest. That way, you can visualize how much you have on your reading list, or how much you’ve accomplished in a set period of time. I don’t use Pinterest to track what I’m actually reading. However, I do use it to pin links to my reading articles, and I often share my favorite book from each month in my “Books I’ve Read and Loved” board. 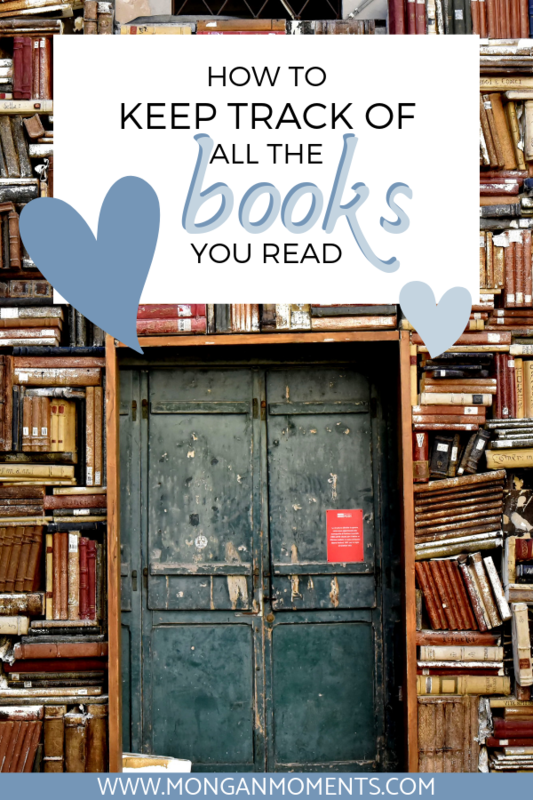 The main way I use Pinterest for reading, though, is to pin a ton of reading lists. I love going back to my Pinterest board to find a list for whatever I’m in the mood for – a thriller, an inspirational book, or the perfect beach read! Bloggers (including myself) publish all sorts of book lists, and Pinterest is a great tool to use to keep record of them all. If you want to get started on your book board, consider pinning my holiday book recommendations! If you tend to keep track of things on paper instead of digitally, your planner is a great place to keep track of your reading goals. Planners usually offer some extra pages in the back, as well as extra space on each calendar/diary page, meaning that there are plenty of options for how to track your reading. 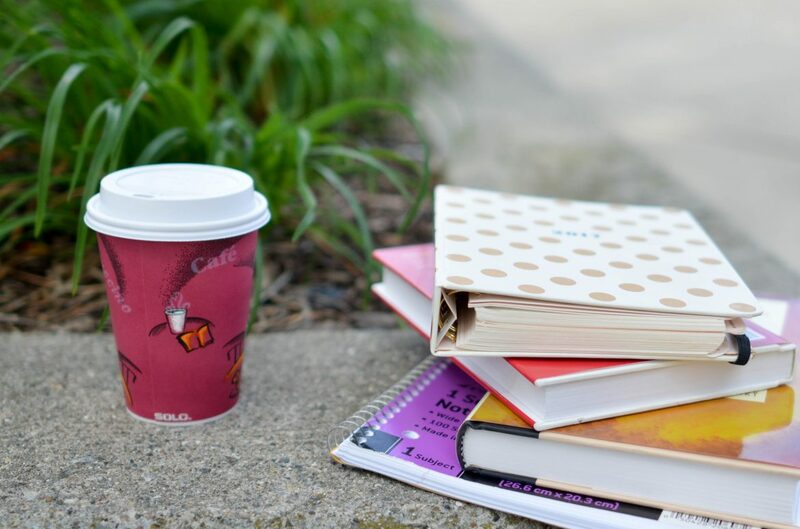 If you like the idea of tracking your reading on paper, make sure you check out my list of the best planners for those looking to smash their goals. For those of you that regularly carry your planners everywhere, it’s a no brainer to do everything in that planner, including tracking your reading. Tracking your reading on paper gives you full flexibility since there is no set format. It also allows you to be as creative as you want to be, including doodles or incorporating color wherever you want. If your planner has grid pages in the back, you can create a tracking system for overall reading and your reading goals. With plain or lined pages, you can list all of the books you’ve read. An alternative way to track your reading on paper is to start a reading journal. I know a few people who love writing down all of the books they finish, along with their thoughts on the book. I don’t personally use this method because I like being able to sort things or search as needed (hence why I prefer digital in almost all aspects); however, journaling is great for the mind and it could be worthwhile to try book journaling if you’re an avid reader. I started tracking my reading goals in my Passion Planner at the beginning of 2018, but eventually gave up in favor of my reading spreadsheet. While I was using the planner, though, I absolutely loved seeing everything in color and flipping through my reading pages to add books as I finished them. Need a planner? Here are my recommendations. In 2019, I plan to use my planner to track my reading in a different way. Since I have a few specific books I want to read each month, I am going to write these on the monthly pages each month to remind myself about the “assigned” reading, and to hold myself accountable. I know I’ll work hard to be able to cross the book off once I’ve finished! I also want to use the monthly pages to mark all of the days that I finish a book. It’ll be really interesting to look back and see when I went through reading droughts versus when I finished 3-4 books in one week. Bonus: Most social media platforms offer some sort of bookmarking function. Use these to keep track of the books you want to read – if you see something on Instagram or Twitter, you can save it there in the platform and come back later to add it to your official reading list! 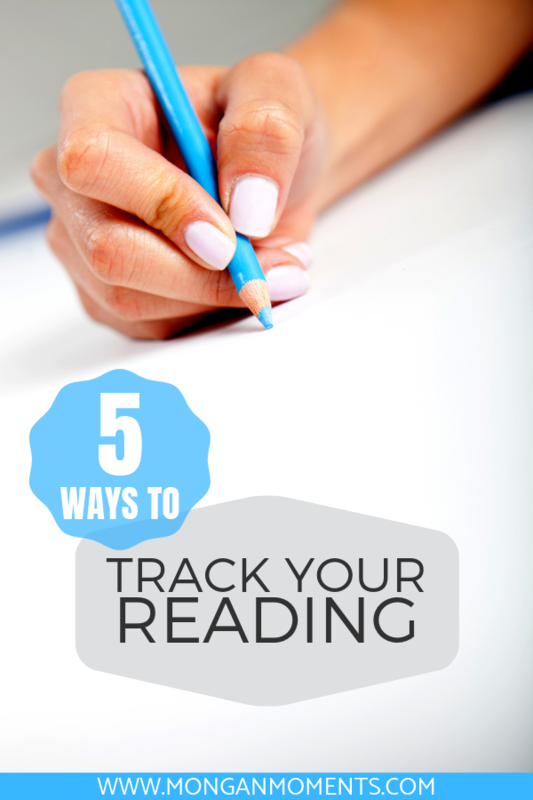 If you love the way that you track your reading, share it in the comments below! I never thought of using Pinterest! Such a great idea! Yes! I heard it on a podcast and it made SO MUCH sense. I am already tracking my reading in too many places so didn’t pick it up entirely, but I do love storing all those fun lists in one place! Goodreads is THE best! I’ve been on the site for years and years now! It’s such a game changer! I’ve been on it for years, too, but only got super involved on it last year and I spend WAY too much time on it…and my TBR is overflowing!